These spikes are absolute flames. 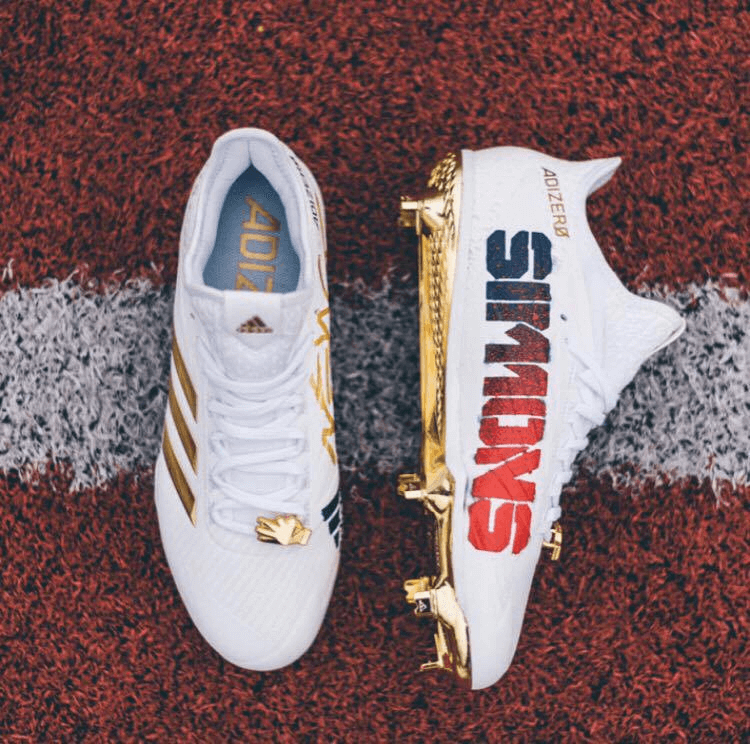 Wearing white spikes makes you look faster, but white with gold, that’s a whole other level of swag. Hopefully you’re as excited as we are to see Simba go to war rocking these bad boys. Categories: Gear, Cleats, Anaheim Angels, Shortstop, Andrelton Simmons.